Receiving the Queen's Award for Voluntary Service. Positive activities across the generations. Meeting the Mayor of west Lancashire at a Concert. Focusing on the development and support of Young People engaging in the community. The group is made up of young people aged 12-25 who work on projects and campaign to improve the life of other young people in the area. They collect the views of members of the community and support them through the activities and services they offer. 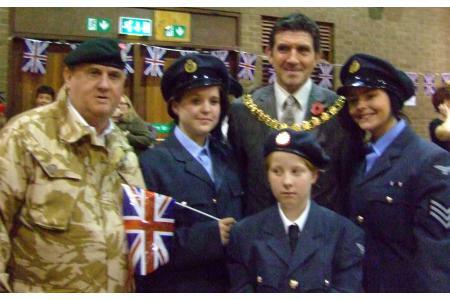 We support young people to become engaged members of the community and bring various groups together to achieve this. We regularly hold events that cater for all ages, abilities, backgrounds, cultures and sexualities which break down barriers. We provide practical services to community organisations, working with different agencies and groupsto provide information and ideas, training events, and representation on statutory and community bodies on behalf of young people. 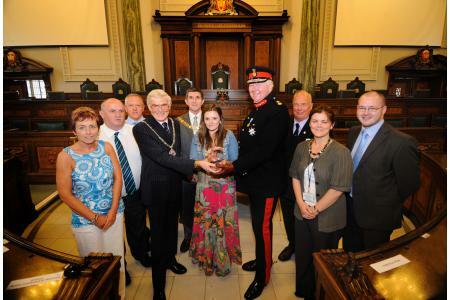 In 2010 we recieved the Queen's Award for Voluntary Service in recognition for our work within the community. Many young people have taken part in anti-bullying conferences, anti social behaviour awareness workshops, in other positive activities. Skelmersdale Action for Youth have, in the past year, provided positive activities for 3651 children and young people in the Borough of West Lancashire with an emphasis on encouraging healthy, independent, confident and engaged citizens. We have broken down barriers between various community groups in West Lancashire in an inclusive and respectful atmosphere. Would provide a place for a young person on one of our activities throughout the year. Would provide a place for a young person on a conference. Would pay for a young person to attend a training course linked to the voluntary sector.